Personalised baby birth details hanging from an aeroplane shape which can also be used as a photo frame. 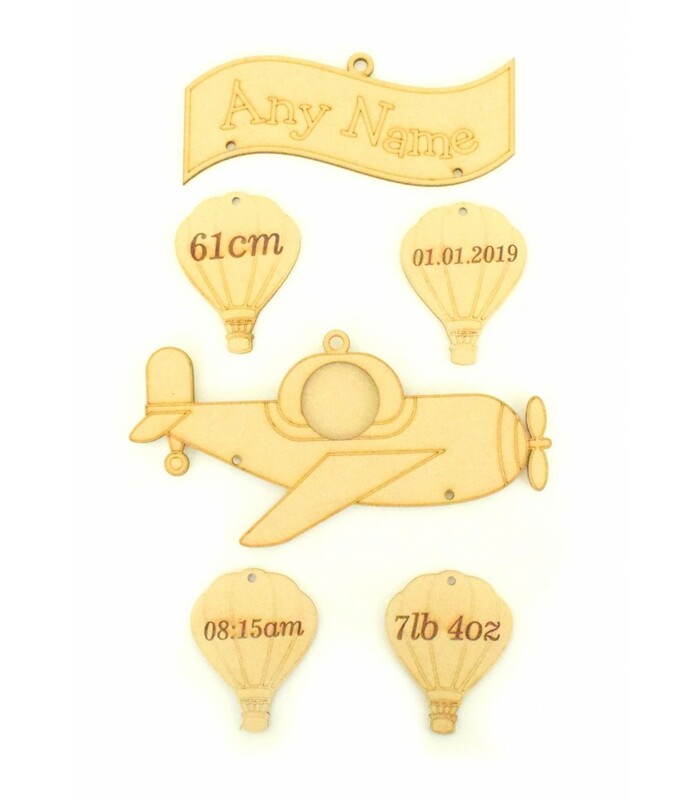 The birth details are engraved onto hot air balloon shapes which hang underneath each other. Large banner shape at the top to personalise with any name of your choice. All the pieces have holes to thread ribbon or twine through, if you need more holes or holes in different places please leave a note on your order.